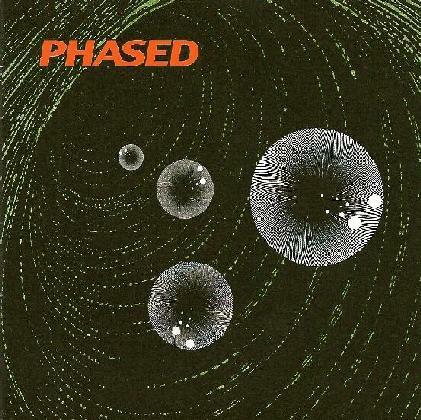 Phased - "A Sort of Spasmic Phlegm Induced By Leaden Fumes of Pleasure"
Wow, how's that for an album title - A Sort of Spasmic Phlegm Induced By Leaden Fumes of Pleasure. Ya gotta love that. This is the fourth album from Swiss psychedelic stoner trio Phased. The album is a combination of shorter songs and longer tracks that stretch out a bit. Songs like "A Surreal Deal", "I Come Toulouse", "The Osteopath", and "Tip Of The Sky" are all spaced out stoner tracks. The band take the time to jam, usually with very cool spaced out and fuzzed guitar. "The Osteopath" includes Scott Heller from Øresund Space Collective on synths, though he's so buried in the mix you can barely hear him. "Tip Of The Sky" is a standout track. Though sludgier and doomier than most of the songs, it's about as spaced out as heavy stoner rock gets. And the band get downright rock 'n roll at the end. Good one. "Rim Shot To Infinity" is a steady rhythmic groove track with funky percussion and a rocking but atmospheric vibe, all colored by Scott's bubbling electronics, which are somewhat more audible. It's a decent rocker but at over 7 minutes I thought they could have developed it a little more. And they do a better job of that on the 9 minute "Maelstrom", which is a raw, heavy, and very Sabbath influenced song. The band transition nicely between song and jamming. It starts off sludgy but then the pace really picks up as Phased rocks out hard and fast. And while Scott is credited on the track you can barely hear him at all, which is a shame because he would have taken this even deeper into space. "Nachspiel Revisited I & II" is the longest track of the set and easily my favorite. It starts off with the song portion, which I thought was just ok. But after a few minutes the music simmers briefly, with the band creating a dark spaced out atmosphere as they build up to an explosive jam. Nice intensity and Scott's electronics stand out in the mix more than any other track he participated in. The band really rock out, there's some ripping, though all too brief guitar solos, and I was reminded of the first couple Farflung albums in parts. Excellent jam track. Finally, "The Need" is a short psychedelic sludge-fest with excellent wailing guitar that closes the album. Overall a fine set that will appeal to fans of the more spaced out and psychedelic brands of stoner rock.